49304/52000 8.432 games bought on Steam. 10.948 games listed on AStats. 274 at 100% now removed from the store. 11 games at 100% that have 100% broken achievements. 92 achievements marked as not counting. 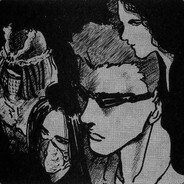 532.183 achievements from removed games. 3.165 achievements gained the past 7 days. 122,2 hours played last 2 weeks.